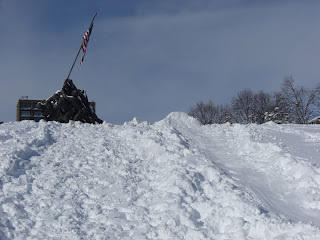 The deep, heavy snow has foreclosed the black-diamond toboggan run at Iwo Jima. 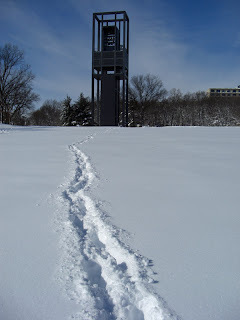 The beginners' slope just below the monument has a well-constructed, but short and cowardly run. 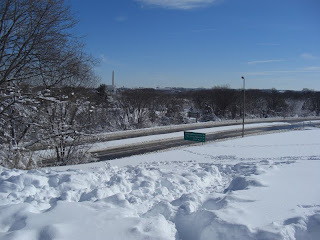 Count on the Ode Street Tribune to bring you path-breaking local news coverage.